Ready or not AMD’s answer for a high-end series of consumer desktop graphics cards is finally here! The Radeon Technologies Group is launching the Radeon RX VEGA 64 and Vega 56 today. The AMD Radeon RX VEGA 64 is powered by the full fat VEGA 10 GPU that contains 64 Compute Units and 4096 stream processors. You can get this graphics card with liquid cooling or an air cooled solution in a standard version (black plastic fan shroud) or limited edition (silver brushed aluminum) model. 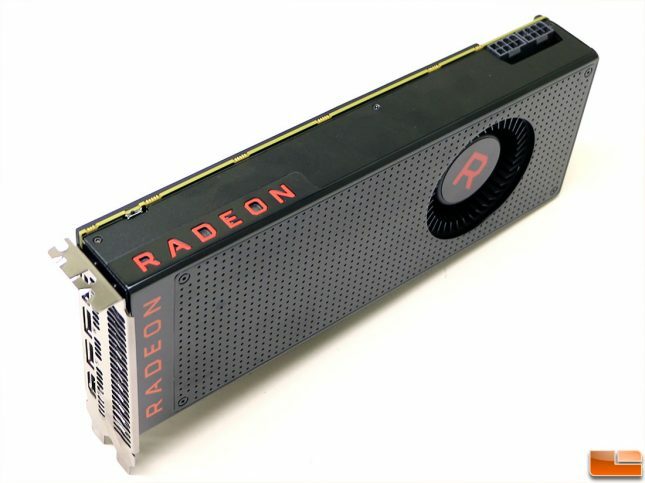 Then there is the VEGA 56 that has 56 Compute Units and and 3584 stream processors that is only going to available as an air cooled card. The AMD Radeon RX VEGA NANO was announced back on July 3oth when AMD revealed the Radeon RX Vega series, but we haven’t heard anything about it since. When it comes to clock speeds the AMD Radeon RX VEGA 64, in both Limited Edition and standard versions, will have a base clock of 1247 MHz and a boost clock of 1546 MHz. The liquid cooled RX VEGA 64 has a base clock of 1406 MHz and a boost clock of 1677 MHz, so you can see that water cooling dramatically increases the clock speeds for this GPU! 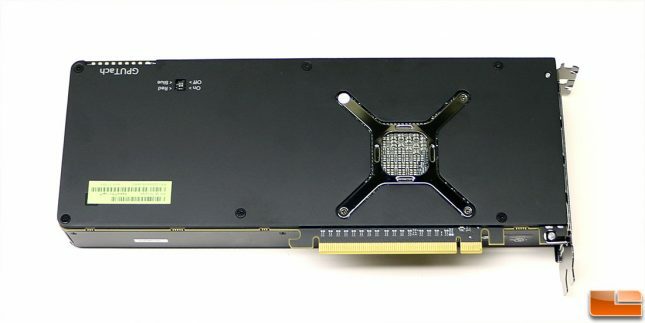 The AMD Radeon RX VEGA 56 has a base clock of 1156 MHz with a boost clock of 1471 MHz. When it comes to memory all of the cards have 8GB of HBM2, but they are running at difference clock speeds. 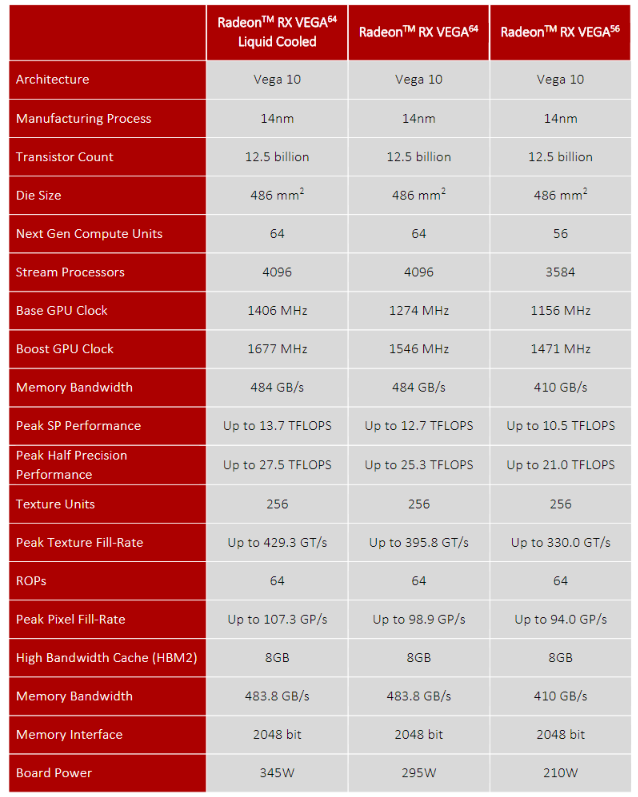 Both the air and liquid versions of the AMD Radeon RX VEGA 64 have an effective memory clock speed of 1.89 GHz and that is good for 484 GB/s of total memory bandwidth. The AMD Radeon RX VEGA 56 has the HMB2 memory running slightly lower at 1.60 GHz and that reduces the total memory bandwidth down to 410 GB/s. Both the AMD Radeon RX VEGA 64 and Radeon RX VEGA 56 standard air cooled cards look the same, so we’ll just be showing you one of them. 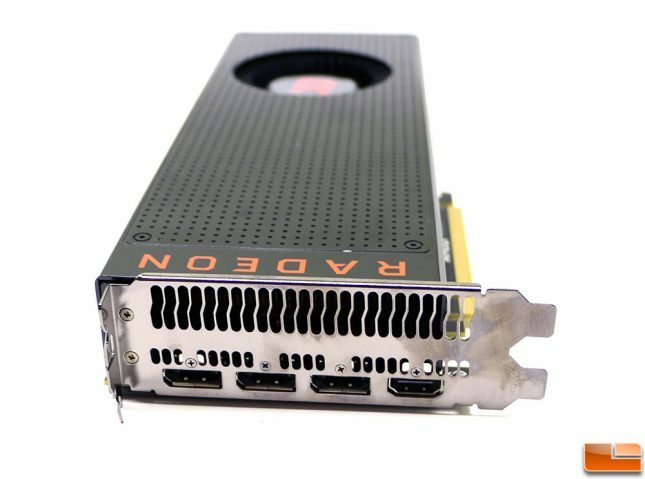 For starters the Radeon RX Vega 64 is a blower-style dual-slot graphics card that looks similar to previous generation reference cards from AMD. It has the usual red/black color combination, but the font for the Radeon logo has been updated. Note that along the top edge of the card there are two 8-pin PCIe power connectors. With a board power of up to 345 Watts (liquid) and 295 Watts (air) at stock speeds these two connectors will come in hand especially when overclocking. There is also a vBIOS selector that allows you to switch between two different vBIOS profiles on this card. There are two vBIOS profiles and then each has three software controlled power profiles. That means there are six power profiles on each VEGA card! The back of the card does have a backplate, but it’s just for protection, to help stiffen the PCB and looks. There are no thermal pads on the back to help cool the GPU or any of the VRM components. When it comes to video outputs for display connectivity, you have three standard full-size DisplayPorts and a full-size HDMI. Let’s take a look at the test system and then run the benchmarks!